Topography: the study of the shape and features of the surface of the Earth and other observable astronomical objects including planets, moons, and asteroids. The topography of an area could refer to the surface shapes and features themselves, or a description. 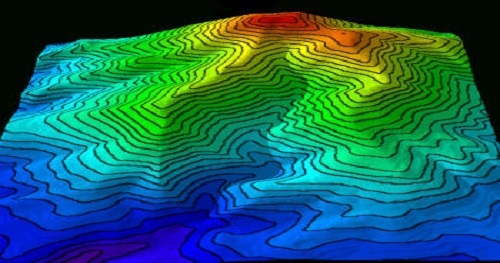 Topography is closely linked to the practice of surveying, which is the practice of determining and recording the position of points in relation to one another. Modern-day topography is generally concerned with the measurement and recording of elevation contours, producing a three-dimensional representation of the earth's surface. Will Venus' Clouds Reveal More About the Planet's Surface? Could A Crater On Pluto Be Named Captain Kirk?